ANC president Jacob Zuma on Sunday slammed media reports that procedure had been flouted in order for former president Nelson Mandela to attend a rally in Dutywa in the Eastern Cape. Speaking at the Khayelitsha stadium to about 12,000 people, Zuma said Mandela’s presence at the rally last week was an ANC issue and not a media issue. The crowd cheered wildly at Zuma’s comments. During his speech, a portion of the crowd pointed at assembled journalists and booed. 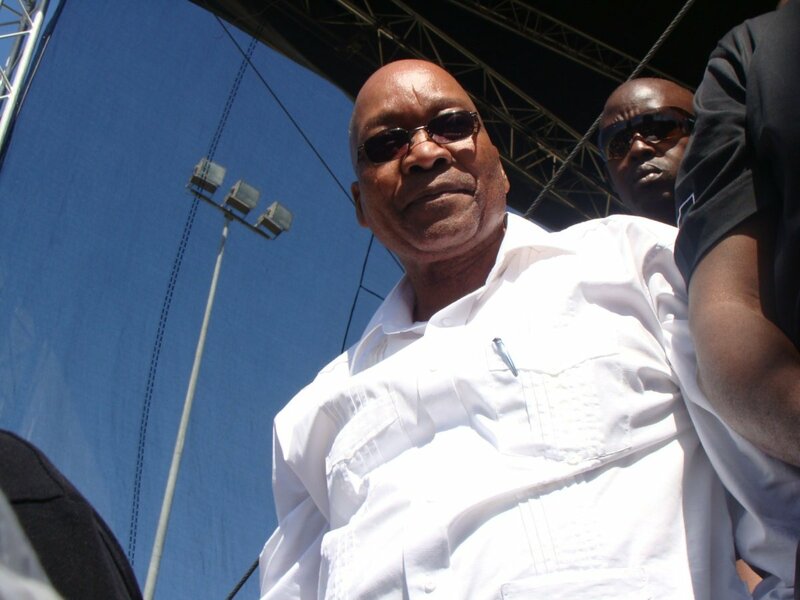 Zuma’s comments followed a Sunday Times frontpage story which suggested that the ANC risked Mandela’s health so that he could attend the rally, where he endorsed the party. The newspaper detailed how the usual travel procedures followed for Mandela’s trips had not been followed. In reference to the reports, which said that the Nelson Mandela Foundation had always been responsible for Mandela’s travel arrangements, but had not been involved in the planning for the trip to the Eastern Cape rally, Zuma said Mandela did not belong to the foundation but to the ANC. He said he was raising the issue because he was “in pain” due to the reports. He said Mandela had volunteered to attend the rally. Zuma said he had informed Mandela about a rally in Gauteng that he could attend, but that Mandela had informed him he wanted to attend a rally in the Eastern Cape. Zuma also highlighted the issue of non-performing municipalities. He said municipalities and government departments would have to explain why money was not being spent. “Money intended for poor people is not reaching them,” he said. He also said steps would be taken to fight corruption. “We will make means to fight corruption from national to municipalities because much has been said about corruption,” he said.